For those who want to catch-up, here is the first part of youtube's Kamen Rider Genm spin-off special. 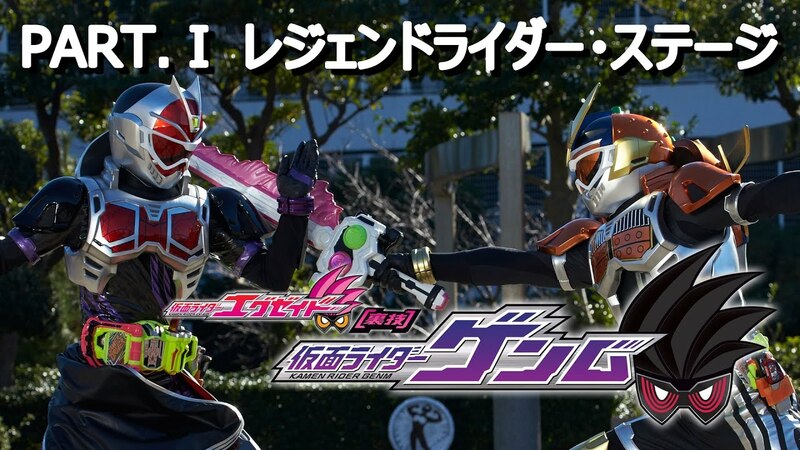 This special will take place after the events of the recent movie wars featuring the Legend Riders Wizard, Gaim, Drive and Ghost. In this special, Genm Corporation president Dan Kuroto has gathered all the Legend Rider data that he needs and lets EX-Aid test the Drive Full Throttle Gashat and later, as Kamen Rider Genm, uses the Wizard Gashat against Emu. Just what is the president up to?